Some temperature control applications, such as domestic showers and instant water heaters, require a very fast thermal response of 1 second or less. Therefore maximising thermal efficiency, and avoid potential scalding. In response to this, ATC Semitec stock a number of very fast-response temperature probes where the NTC thermistor is situated in the very tip of the sensor. This reduces the thermal path to the thermistor and thus minimises the thermal response time. Response times can be further accelerated by using our thin wall tip or exposed NTC sensor. 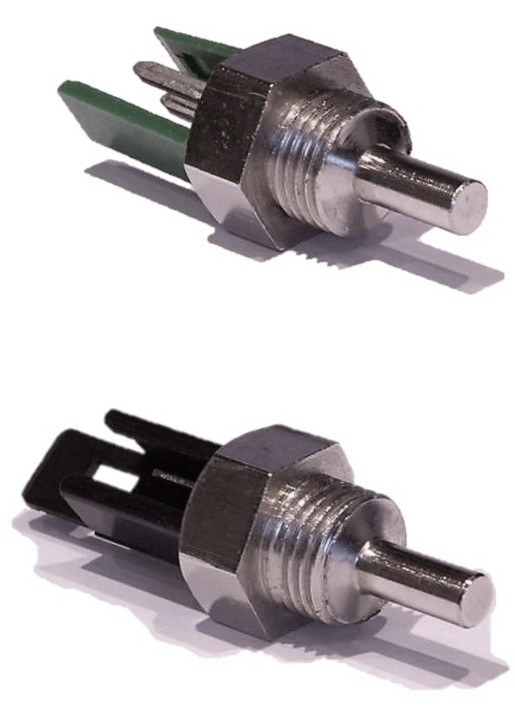 Our standard sensor packages include – screw threaded bosses, bayonet fittings and push-fit/clip-in designs -all available with flying leads and/or industry standard connector options. 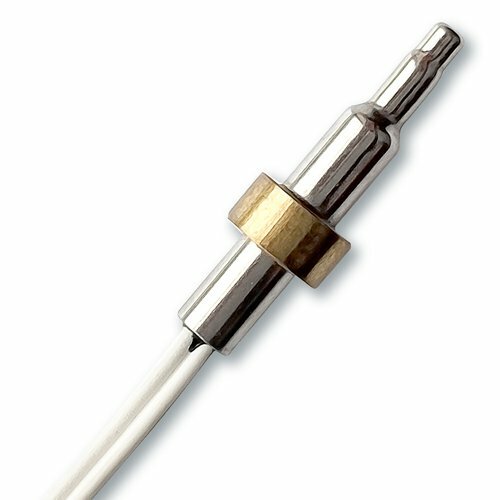 A 2.1mm diameter stepped tip design in 316 stainless housing with brass mounting collar, ideal for water temperature sensing. An exposed tip sensor with glass NTC suitable for use up to 250°C. 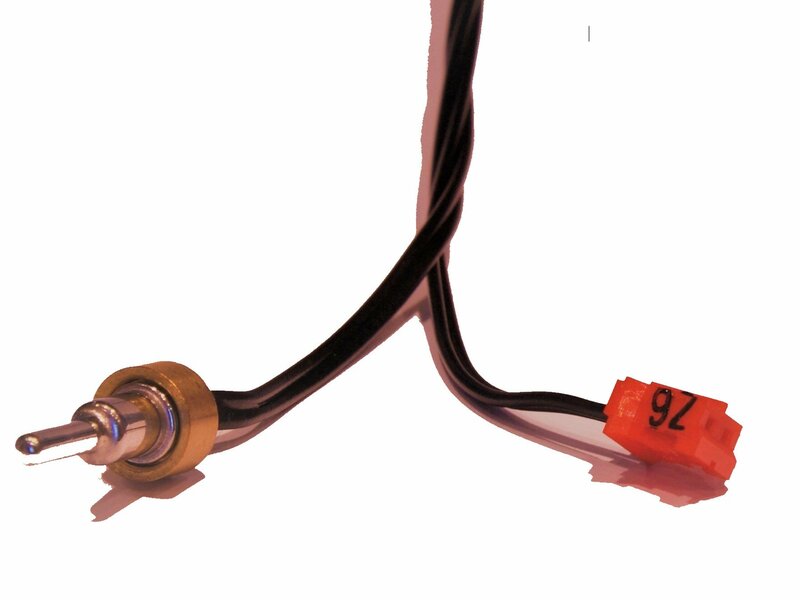 Gas-boiler style sensor with 1/8″BSP gas thread and integral connector, which are commonly used as HVAC immersion temperature sensors. Fast response M5 stud sensor in brass or PPS, ideal for use with gas boilers. The NTC thermistor is housed within the screw thread portion in order to optimise the thermal response.